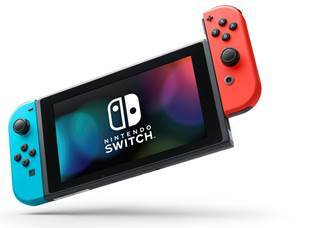 This Friday, March 3rd, Nintendo launches their newest gaming console–the Nintendo Switch. My family was invited to check it out a few weeks ago, and we had a blast playing games both old and new. 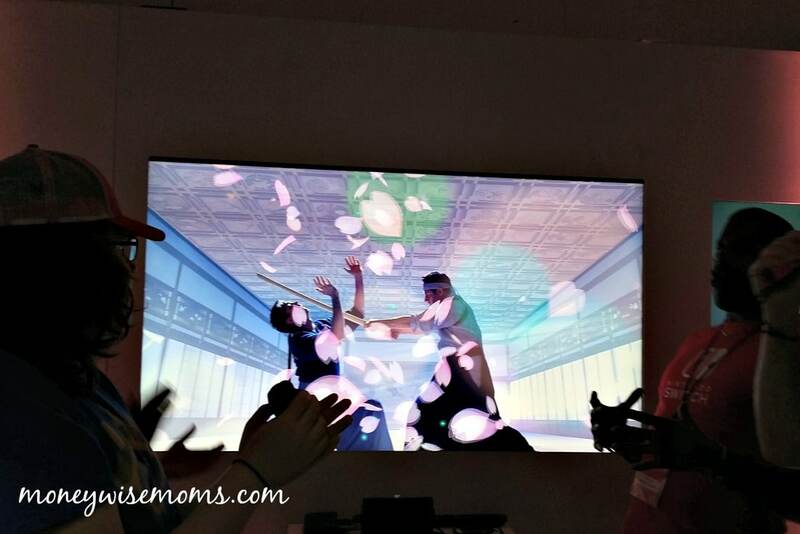 With two tweens, a teen, and a husband with a LONG history of playing video games, we enjoyed the experience. The big difference with the Nintendo Switch system is its portability. At home, it’s a full console experience through your television. The new controllers–called Joy-Cons–are used in interesting ways depending on the game. The Switch is also a handheld–great for taking on a roadtrip or to a friend’s house. For the first time, you can play Zelda and other Nintendo faves on a big 6.2-inch screen with the same high-def graphics you’d get on the console. 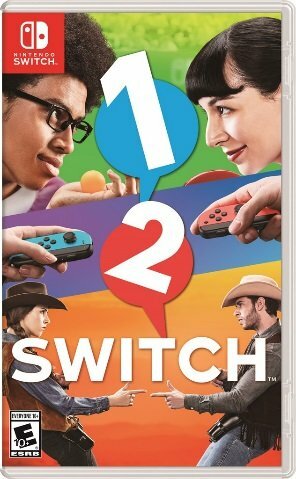 One of the coolest games was 1-2 Switch. It was absolutely silly and a lot of fun! Two players play against each other at a time, and the games vary. We milked cows, attacked each other as Samurai, did a Western shootout, and more. It was a blast and would be great as a party game or anytime you have a whole crowd together. Each player has one JoyCon in their hand and uses it in a different way depending on the game. 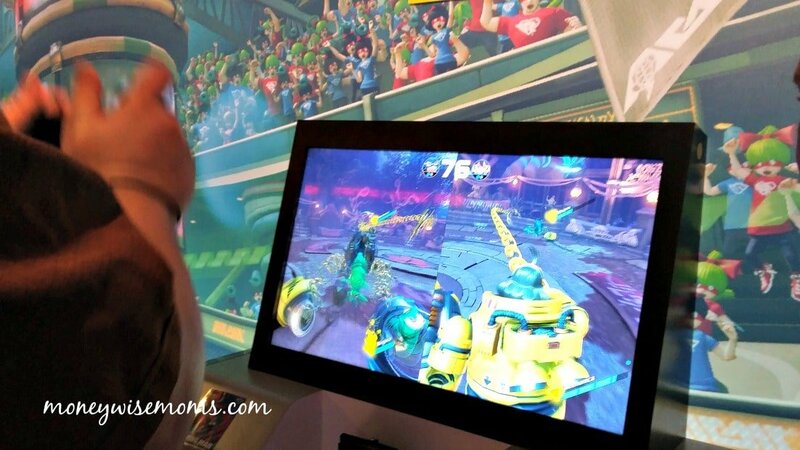 At the event, we played some old favorites like Street Fighter, tried the latest version of Zelda, and zoomed around the new Mario Kart 8 Deluxe. 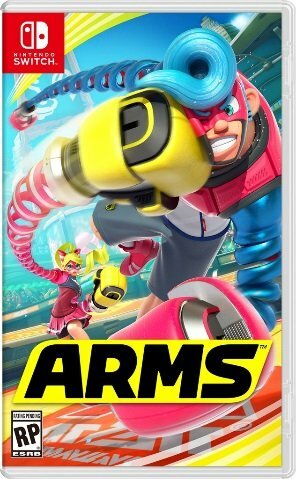 Our absolute favorite game was ARMS. It reminded me of way back when we used to play Wii Boxing, but this time you’re mechanized robots with all kinds of fun ways to beat each other up. It does require that you purchase another set of JoyCons, since each player will need two (one in each hand) to play against each other. This was a blast! Take a look at the Nintendo Switch when it comes out this week. It’s an upgrade to the Wii that will serve as a family game console for years to come. Plus, you get the added bonus of being able to take it with you! With all the traveling we do, this console is small enough to take to hotel rooms, plus the kids can play the handheld in the car. Do you have a family game console at home?